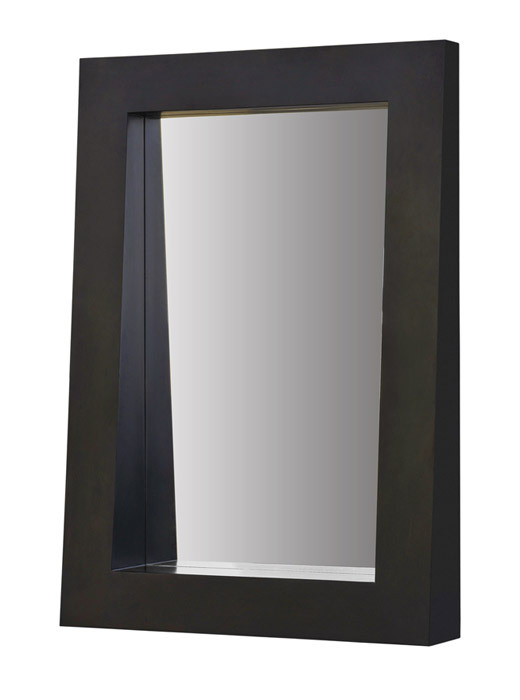 The curved edges and recessed mirror give this piece a very chic feel. It has a beveled mirror and a 5” shelf. Also great to use as a bathroom vanity mirror.